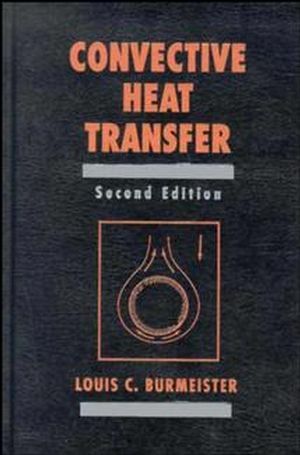 A modern and broad exposition emphasizing heat transfer by convection. This edition contains valuable new information primarily pertaining to flow and heat transfer in porous media and computational fluid dynamics as well as recent advances in turbulence modeling. Problems of a mixed theoretical and practical nature provide an opportunity to test mastery of the material. Louis C. Burmeister is the author of Convective Heat Transfer, 2nd Edition, published by Wiley. Equations of Continuity, Motion, Energy, and Mass Diffusion. Laminar Heat Transfer in Ducts.